We can normally Emergency Patients the same day! Call us at (403) 261-8851. Even if you aren’t in much pain, any structural damage to a tooth — from a sports injury, for example — should be considered an emergency. Chips or fractures can affect the living tissue inside the tooth, causing more problems in the future. We can prevent any possible damage from getting worse. The same can be true for a lost filling or crown. 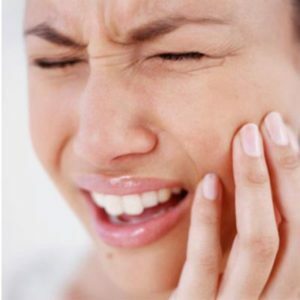 Even if you don’t have any symptoms, the tooth has lost its support and it could easily become weaker. Pieces could break off or crumble, and you would need more extensive treatment. If you see your dentist right away, there’s a good chance they will be able to repair the damage with minimal treatment. These are good indications that you are having some kind of issue that needs to be dealt with in a timely fashion. So please consider that as an Emergency Dentist, the Welcome Smile Dental team will try our very best to get your emergency treated the same day — if not right away! at (403) 261-8855 as we welcome emergencies! Call Us at (403) 261-8855 to book your Emergency Dental appointment today!